TNT is changing their schedule around a bit. Season three of Franklin & Bash will debut on June 19th while season two of Perception will kick off on June 25th, paired with the fourth season of Rizzoli & Isles. A new non-scripted program, Cold Justice, kicks off on September 3rd. · Franklin & Bash, starring Mark-Paul Gosselaar, Breckin Meyer and new cast member Heather Locklear, will launch its third season with a two-hour premiere on Wednesday, June 19, at 9 p.m. (ET/PT). · Rizzoli & Isles, starring Angie Harmon and Sasha Alexander, will kick off its fourth season on Tuesday, June 25, at 9 p.m. (ET/PT). · Perception, starring Eric McCormack, will return for its second season on Tuesday, June 25, at 10 p.m. (ET/PT). · Cold Justice, a new unscripted procedural featuring former prosecutor Kelly Siegler and crime-scene investigator Yolanda McClary, will premiere Tuesday, Sept. 3, at 10 p.m. (ET/PT). TNT is television’s destination for drama. Seen in 99 million households and ranking among cable’s top networks, TNT is home to such original drama series as Rizzoli & Isles, Falling Skies, Dallas, Major Crimes, Perception, Franklin & Bash and Southland. The network also features dramatic unscripted originals like Boston’s Finest and the upcoming The Hero, 72 Hours and Cold Justice. 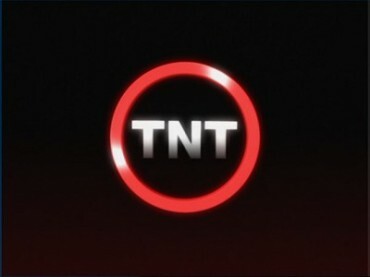 In addition, TNT is the cable home to popular dramas like Castle, The Mentalist, Bones and Supernatural; primetime specials, such as the Screen Actors Guild Awards(R); blockbuster movies; and championship sports coverage, including NASCAR, the NBA and the NCAA Division I Men’s Basketball Championship. What do you think? Which of these TNT dramas do you plan on watching this summer? More about: Cold Justice, Cold Justice: canceled or renewed?, Franklin & Bash, Franklin & Bash: canceled or renewed?, Perception, Perception: canceled or renewed?, Rizzoli & Isles, Rizzoli & Isles: canceled or renewed?